The accommodation for this route is set at one place. The wonderful Zinkwazi Lagoon Lodge provides world-class service as well as multiple options in housing experiences, chalets, lodge and camping. The Howard Johnson Nature Reserve has some of the best wildlife to be seen in KwaDukuza as well as the iconic Ultimatum Tree, Fort Pearson and a Museum that documents the life of King Shaka Zulu. 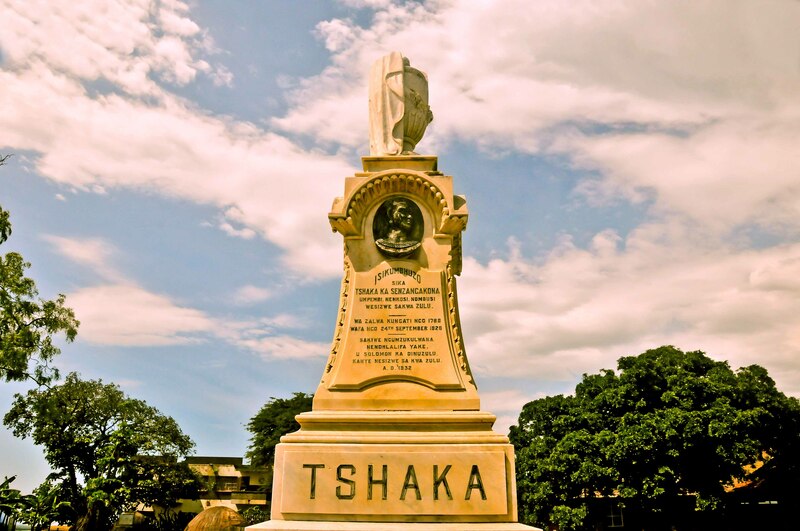 Visit the King Shaka’s Grave, which is a memorial for the Zulu King, who is a great legend of nation building in South Africa. You can also look at the village that now surrounds his grave including the Ultimatum tree where the King himself held council; this can all be achieved as everything is within walking distance from his grave. The day ends with a visit to Tinley beach with an amazing tidal pool, great wildlife sighting opportunities, snorkelling and a relaxing beach. A visit to the Chief Albert Luthuli Museum gives you a brief glimpse of the life in the Apartheid Era. The grave of Chief Albert Luthuli can also be visited for those that want to visit his grave. The Sappi Paper Mill is available for pre-booked tours through the factory. The tour shows you everything surrounding the creation of paper from pulp to the clean white sheets of paper. For those that want to spend some time with nature you can end the day off with a relaxing sunset while spotting some of the beautiful native birds of the KwaDukuza region. The last day of the tour can be spent at either Blythedale beach or a tour through Amatikulu. The last three days can be spent in anyway you want. Revisiting some of the museums, beaches or memorials are all available.